Analysis of Windfarm performance in the UK and Denmark New important report by Prof. Gordon Hughes : "... detailed analysis of the relationship between age and performance for both the United Kingdom and Denmark shows a significant decline in the average load factor of onshore wind farms adjusted for wind availability as they get older. An even more dramatic decline is observed for offshore wind farms in Denmark...The normalised load factor for UK onshore wind farms declines from a peak of about 24% at age 1 to 15% at age 10 and 11% at age 15...any economic assessment of wind generation should not be based on an expected life which is longer than 15 years"
New paper shows sea-level increase not accelerating, but much less than predicted by IPCC models. Read also a comment here. The State of Earth's Terrestrial Biosphere Optimistic research paper by C. Idso showing the ongoing greening of the Earth and the positive respond of the biosphere to increasing CO2 levels (134 pages). "The vigor of Earth’s terrestrial biosphere has been increasing with time, revealing a great greening of the planet that extends throughout the entire globe...There is no empirical evidence to support the model-based claim that future carbonuptake will diminish on a global scale due to rising temperatures." On the problems of reconstructing past climate from tree-rings Excellent article by Jim Bouldin : Part 1 and Part 2 : "Each of these issues by itself would be a serious problem, but collectively they render unreliable all long-term estimates of climate change from ring widths"
Energiewende: Neustart erforderlich Comment from Werner Marnette in Novo Argumente: "Energie, speziell Strom, muss für Bürger und Wirtschaft bezahlbar bleiben"
Klimaschutz - ein Sündenfall hat närrisches Jubiläum Dipl. Meteorologe Dr. W. Thüne: "Man kann Klima nicht schützen, wenn man nicht vorher das Wetter unter seine totale Kontrolle gemacht hat"
Killt Kyoto, stoppt den Klimazirkus Excellent article (in German) by former minister of economy and actual member of the European Parlament Robert Goebbels. Published in the Luxemburger Wort, 17 Dec. 2012. Europe goes back to coal As the USA switch massively to gas for power generation and cut down their CO2 emissions to nearly 1992 levels, "Old green Europe" goes back to coal! How funny! Read here, here and here. There is no alarming sea-level rise says Prof. Nils-Axel Mörner in this article (2010).See also here (3rd slide) what NASA says about (poor) accuracy of satellite measured sea-level and ice mass. Die krassen Fehlprognosen beim Ökostrom Read this article from Die Welt: "Die Verbraucher werden 2013 mit dem Vierfachen dessen belastet, was von der Ökostrom-Lobby versprochen worden war." Global warming stopped 16 years ago! Read this article in Mail Online! Read also this discussion by Marcel Crok on a new paper reducing anthropogenic warming by a factor of at least two. Global Warming has been good to Africa. Read this Forbes comment. Letter to Minister Altmeier Read the last part of this letter of Prof. Dr. Ing Alt to the German Umweltminister Altmeier. "Die Energiewende ist, wie mir Herr Prof. C.C. von Weizsäcker schrieb, ein Irrtumsweg in die Deindustrialisierung..."
Klimaforschung in der Gesellschaft. Hans von Storch: I do not readily accept the first paragraph, but this conference contains many intelligent reflections. Read what von Storch says about the climate skeptics! Apocalypse Not: Here why you should'nt worry about end times. One of the best articles ever written debunking apocalypse fear: Matt Ridley (Wired Science). Extreme weather Read this astonishing editorial of the Journal NATURE warning to attribute extreme weather events to global warming! (if link is broken, look here). "Global warming fanatics take note" write Harvard Prof. W. Soon and statistician W. Briggs in a Washington Times online article, showing that the sun really does impact climate. Der geplatzte Traum vom Energiesparen. Die Welt: (English translation here): "Maßnahmen wie Glühbirnenverbot und Hausdämmung helfen so gut wie gar nicht beim Energiesparen." Original report (in German) here: "... gesteigerte Ressourceneffizienz nie jene Ressourcenersparnisse bringt, die aufgrund einfacher Rechnungen erhofft werden"
AR5 forecasts: what to believe New guest post by Pat Frank shows that the recent CMIP5 (Coupled Model Intercomparison Project) does not better cloud cover uncertainty, and that future warming uncertainty may as big as +/- 25 °C ! "The verdict against the IPCC is identical: they do not know what they’re talking about". Click here for a picture showing observations and IPCC forecasts since 1980. The Manmade Contribution to Ongoing Global Warming Is Not a Planetary Emergency Vaclav Klaus:(20 Aug 2012): "The Global Warming Doctrine ...is an ideology, if not a religion." by Anthony Watts et al. shows poor station siting and bad correction procedures yield a two-fold increased temperature trend for US stations! "..adjusted Tmean trends "correct" the inequities...– not by adjusting the poorly sited station trends down, to match the well sited 650 stations, but by adjusting the well sited station trends upward by 92% to match the poorly 651 sited stations." See comments here , here , here and a more skeptical one here. Dense Plasma Focus Fusion (DPF) Is this aneutronic fusion (P + 11B → 12C → 3(4He) + 8.9 MeV) the way to small reliable and secure fusion reactors? We are cooling since 1000 years, and nobody took notice! Read here (full paper here); read also this (full paper). An international comparison of energy and climate change policies impacting energy intensive industries in selected countries Big report from UK BIS (Department for Business Innovation & Skills) . Click here for a telling graph and here for a FT article! Lindau 62nd meeting of nobelists, July 2012 - Prof. Yvar Giaever (physics Nobel price 1973): The Strange Case of Global Warming. His conclusion: "Is Climate Change a pseudo-science: YES!" - Prof. R.B. Laughlin (physics Nobel price 1998): Powering the Future. His conclusion: "Getting at the problem with using less energy is a non-starter... Nuclear power will come back"
- Prof. Hartmut Michel (chemistry Nobel price 1988) ): Photosynthsis, biomass, biofuels. A presentation very critical of biofuels. - The numbers, no hot air: Read the "Energiestudie" of DERA (Deutsche Rohstoffagentur): "für die Energieträger Uran, Kohle und Erdgas (ergibt sich) eine konfortable Situation". 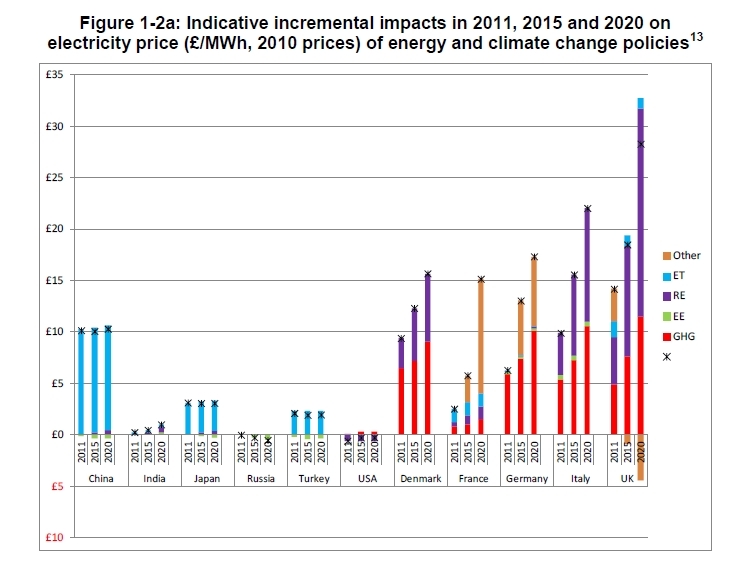 - The numbers and hot air: IIASA: Global Energy Assessment 2012. Read SPM here. Science held hostage in climate debate. Excellent article by Prof. Garth Paltridge in the Australian newspaper "Financial Review" (22 Jun 2012). Also read this comment by Dr. R. Brown of Duke University. The Mistery of the sinking South_Pacific Islands Local sea-level rises because island is sinking. Article by G. Straufetter in Spiegel Online. Wind turbines as yet unsuitable as electricity providers Article from EurophysicsNews (European Physical Society) by le Pair et al. (also here, here and here). What was Global Warming? Article by Andrew McKillop (former policy analyst, DG XVII) in "The Market Oracle"
The real enemy is humanity itself. Rio+20: Comment by Ben Pile in Spiked-online: "The idea that there are too many people, or that the natural world is so fragile that these things are too difficult for normal, democratic politics to deliver, flies in the face of facts." Radiation physics constraints on global warming CO2 increase has little effect. Read this paper by Prof. D. Rancourt (University of Ottawa): "...post-industrial warming due only to CO2 increase is 0.4°C... The sceptics say many incorrect things but they are right whereas the warmists say many correct things but they are wrong." The Climate Fix Watch Roger Pielke Jr.'s lecture given in Canberra and find all videos of the lectures from the last EIKE conference on climate (4th IKEK) here and here. CSS, Realizing the Potential? Hot new UKERC report. Zum Einfluss des Menschen auf den Klimawandel: Sind Zweifel erlaubt? Read this article by 4 German scientists. 49 former NASA scientists write NASA should be more careful in its climate change position. IPCC SREX report Global weirding: The latest IPCC SREX report says "No we don't know if extreme events are on increase" (...Even the sign of projected changes in some climate extremes over this time frame [2 -3 decades] is uncertain...Even if there were no anthropogenic changes in climate, a wide variety of natural weather and climate extremes would still occur...) but the media read this differently. Read the comments of J. Delingpole and Roger Pielke Jr.
UK: Forget wind, start fracking. Will the UK start the EU shale gas revolution ? Also read here and here. Lindzen lecture at the House of Commons (Feb 2012) and reply (12 Apr 2012) to criticisms. China's new 5-year plan "Coal-fired power is the foundation of China’s power generation structure". Click here for table: Chinese 2020 carbon emissions from coal electricity alone will be 1.55 GtC ~ total EU25 emissions in 2009 ~1/6 of total world emissions of last year! The IPCC may have outlived its usefulness Excellent interview with Prof. Judith Curry. "I agree that there is lack of accountability in the whole climate enterprise, and it does not meet the standards that you would find in engineering or regulatory science." What if they are wrong? Excellent comment of physicist Mike Stopa from Harvard University. Effect of Geomagnetic Disturbances Read this very interesting report by NERC on the dangers of solar storms to the electricity net. German solar experiment collapses Björn Lomborg: "Germany’s experiment with subsidizing inefficient solar technology has failed. As even many German officials would probably attest, governments elsewhere cannot afford to repeat the same mistake." Ocean Heat Content and Climate Shifts. Important new paper by Douglass et al. : "The most recent shifts occurred during 2001–2002 and 2008–2009. 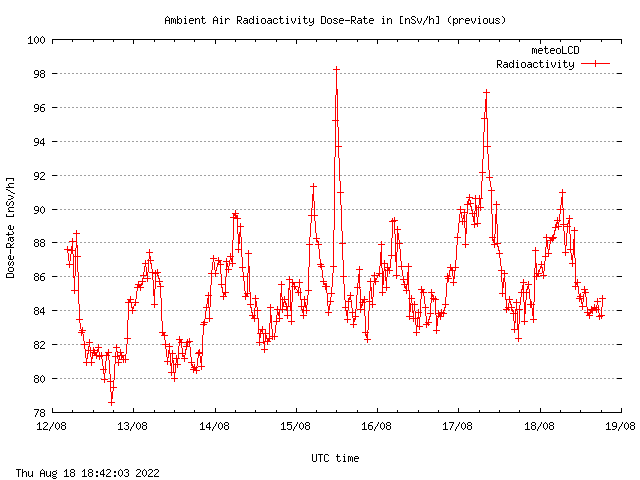 The implied radiation imbalance between these dates, in the direction of ocean heat loss, was −0.03 ± 0.06 W/m2... the CO2 forcing feedback would have to be negative to obtain agreement"
Re-evaluating Germany's blind faith in the sun. Must-read Spiegel-Online article: "...subsidies have already exceeded the 100 billion € level...Solar energy has the potential to become the most expensive mistake in German environmental policy"
Fürchtet euch nicht vor dem Klimawandel Interview in the FTD with F. Vahrenholt, one of the authors of "Die kalte Sonne"
Fitting time series Excellent comment of statistician William Briggs warning of fitting time series: don't do it! Ap index, neutrons and climate Article by D. Archibald on the geomagnetic indicator of solar activity: "If Solar Cycle 24 is progressing at 60% of the rate of the previous two cycles... a total temperature decline of 4.9°C at the US-Canadian border is predicted over a period of about twenty years." Back-up or Back-out Clingendael (NL) report on wind energy. "Wind power has a low capacity credit (in NW Europe). This means that wind power does not significantly replace other generating capacity; alternative power sources need to be in place, together with new installed wind capacity for at least 80% of installed wind capacity, to ensure that there is sufficient back-up to meet market demand at times of reduced wind power supply. Most of this will have to come from conventional power plants"
Testing an astronomically based decadal-scale empirical harmonic climate model ... versus the IPCC (2007) general circulation climate models. New paper by N. Scafetta " ... the IPCC GCMs have seriously overestimated also the magnitude of the anthropogenic contributionto the recent global warming..."
Scottish wind-turbine during a heavy storm. More here! New Take on Impacts of Low Dose Radiation LNT (linear non threshhold) hypothesis in nuclear radiation risk questioned again. No global warming: Interesting report by Ed Caryl showing no warming (except well known 60 years periodical change) in worldwide rural locations: Part 1 and Part 2. Read also Dr. Roy Spencer's comment on the results of 33 years satellite measurements. The true failure of DURBAN Read this lucid comment by Dennis R. Wingo and this excellent interview of UCL professor Ystvan Marko (in French). Reducing the future to climate Read this extraordinary article by Prof. Mike Hulme of UEA: "In this new mood of climate-driven destiny the human hand of climate change has replaced the divine hand of God as being responsible for the collapse of civilisations"
On the Cause of Ice Ages. Read this classic paper by Hoyle & Wickramasinghe: Don't miss the introduction! AGU Fall Meeting AGU Fall meeting: videotaped sessions here! “reconstruction." .Look here and here for a start. Scientific Heresy A really great speech by Matt Ridley: "The alarmists have been handed power over our lives; the heretics have not"... "By contrast scientists and most mainstream journalists risk their careers if they take a skeptical line, so dogmatic is the consensus view. It is left to the blogosphere to keep the flame of heresy alive and do the investigative reporting the media has forgotten how to do." Do not miss this! Resignation letter of Nobel laureate Ivar Giaever Nobel laureate (physics 1973) Ivar Giaever resigns from the APS because he can not accept the society's position on global warming! Scientific heresy A truly exceptional lecture given by Dr. Matt Ridley at the RSA (Royal Society of the Arts) in Edinburgh, 31 October 2011. The alarmists have been handed power over our lives; the heretics have not"
UK windfarm paid more than 1 million £ for ***NOT*** producing power during 8 hours; this is more than 10 times the selling price had power been produced! NIPCC versus IPCC Update of the SEPP report by Prof. F. Singer: "...because of their chaotic character none of IPCC's climate models can be validated against observations and used to predict future temperatures"
Nature paper of J. Kirby et al. (63 authors!) on results from the CLOUD experiment: experiment shows climate effect by the solar modulation of cosmic galactic rays is possible (as suggested by H. Svensmark many years ago). Also here. Solyndra US cylindrical GIGS solar cell manufacturer is bankrupt 1100 "green" jobs vaporize. This comes after closures of Evergreen and Spectrawatt. Read also this. Forbush decreases – clouds relation in the neutron monitor era New paper by Dragic et al. on the influence of CGRs variations on cloud formation: effect on DTR (diurnal temperature range) is statistical significant! Raed also comment here. German Ausstieg: Report of the Bundesnetzagentur "Nach derzeitigem Wissen sind die wesentlichen Extremsituationen für die Übertragungsnetze durch das vorhandene Eingreifsinstrumentarium der Ubertragungsnetzbetreiber und damit ohne Anordnung eines Reservekernkraftwerks gerade noch beherrschbar". Abstract and full text. Also here and this editorial. IPPC Vice-President (and UCL professor) J-P. Van Ypersele censors climate conference! How sure are climate alarmists of their case that they feel obliged to resort to such infantile actions? New important paper by Lindzen & Choi: Climate sensitivity as derived from observations very likely smaller than 1.2°C and feedbacks negative. On the Misdiagnosis of Climate Feedbacks from Variations in Earth's Radiant Energy Balance New paper by Spencer & Braswell: "atmospheric feedback diagnosis of the climate system remains an unsolved problem". Read also comments here and here. 30% of the world weather stations showed a cooling trend Read this exciting analysis of Motl & Shawn using the most recent HadCRUT3 data. "The warming trends hugely depend both on the places as well as the months. 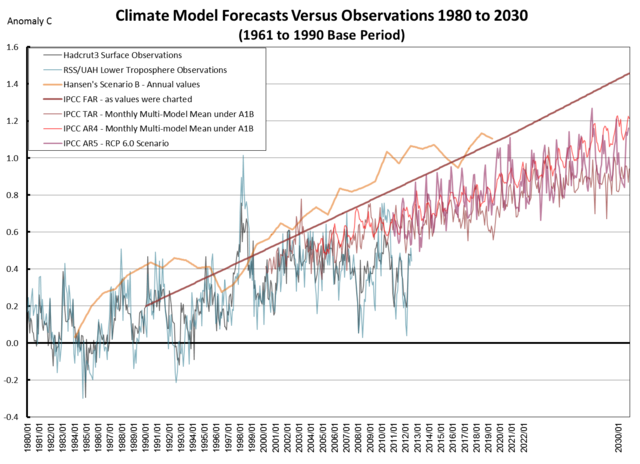 The "error of the measurement" of the warming trend is 3 times larger than the result!" The last result is comparable to the conclusions of the paper of P. Frank on temperature uncertainty. The risks of radiation Excellent article of Jan Willem Nienhuys in European Energy Review: "Safety rules should rely on realistic, scientifically-based assessments of the risks of radiation, rather than irrational fears based on ignorance." This article should be mandatory reading for politicians and environmentalists! Read also this comment. Buy high, sell low Read the story of Ontario's wind power. Feed-in tariff = $135, selling price ~ $22 (per MWh). Yet another story of costly surplus wind electricity. Here on a new report concluding that wind energy's carbon dioxide-cutting benefits are vastly overstated (abstract). Read also Spiegel-Online telling the same story back in 2009. The future of solar heat storage ? Carbon nanotubes thermo-chemical energy density similar to Li-Ion batteries (abstract). Does The Sea Surface Temperature Record Support The Hypothesis Of Anthropogenic Global Warming? No! shows Bob Tisdale. 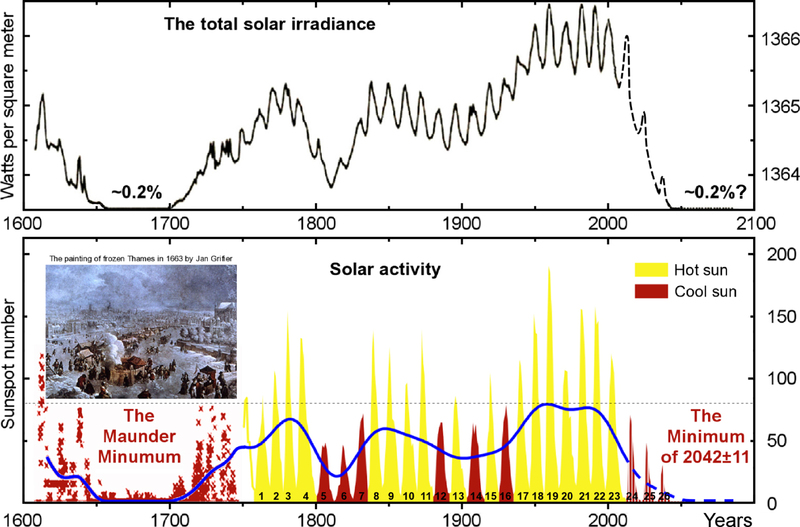 Der Grosse Solarschwindel Absolutely must read (Welt Online 26Jun11). Mark Lynas, environmental activist "Greenpeace routinely inflates the death toll for the 1986 Chernobyl disaster by a factor of 1,000 (the true total is likely to have been less than 50) in order to stoke fears about atomic energy"
On the Hijacking of the American Meterological Society: Excellent comment by Prof. Bill Gray. Excellent article by Pat Michaels on "Pal Peer Review" in climate science: "...in the intellectually inbred, filthy-rich world of climate science, where billions of dollars of government research money support trillions of dollars of government policy, peer review has become anything but that [double blind peer review]"
Big Drop in coming solar activity (cycle #25) Are we on the way to a cooling period (e.g. Dalton minimum)? Abstracts of the Joint IPCC Expert Meeting on Geoengineering in Lima (8th June 2011) Shudder! Three NASA astronauts on AGW: Harrisson, Aldrin and Cunnigham Read these statements! Rettet die Welt vor den Weltrettern! Absolutely must-read! EHEC from biogas plants? "Climate-friendly" biogas plants comes under increasing attack: after possible contamination with botulism spores, biogas fertilizer could be the harbinger of the deadly EHEC poisening in Germany. Also here. About Greenhouse Gases An absolute must-read article by Prof. William Happer, Princeton University: The Truth . The dubious science of the climate crusaders. "A major problem has been the co-opting of climate science by politics, ambition, greed, and what seems to be a hereditary human need for a righteous cause." Read also here. GCR and climate connection New research from Aarhus University supports cosmic rays climate impact theory! Read also Nigel Calder on this here and Dr. Roy Spencer's exhaustive comment. 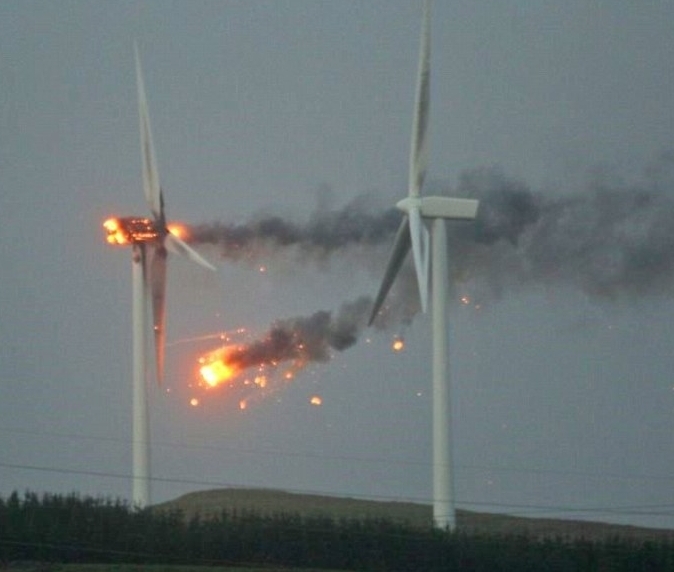 Payed for not producing Scottish windfarms paid £900000 for NOT producing energy! Read also here (in German) on EEX paying for stopping the wind turbines and this slide from Prof. H. Alt. Die herzliche Oekodiktatur Harsh words of the FAZ (Frankfurter Allgemenine Zeitung) on the dangerous evolution of German green power. As says Carl-Christian von Weizsäcker "Zwangsernährung mit ökologisch korrekten Produkten"
Real Wind Energy in Ireland Windy Ireland has 1425 MW of wind turbines installed; click to see the real power produced, and divide this power by 1425 to obtain the instantaneous capacity factor. 29 March 2011 noon: ~ 7%. Stunning! Average capacity factor for full year 2010: < 21%. Maximum error of predicted power is 1215 MW ! Read this EER review: "Ireland's daring wind energy experiment". Read also this editorial in POWER: Spanish Wind Revisited. 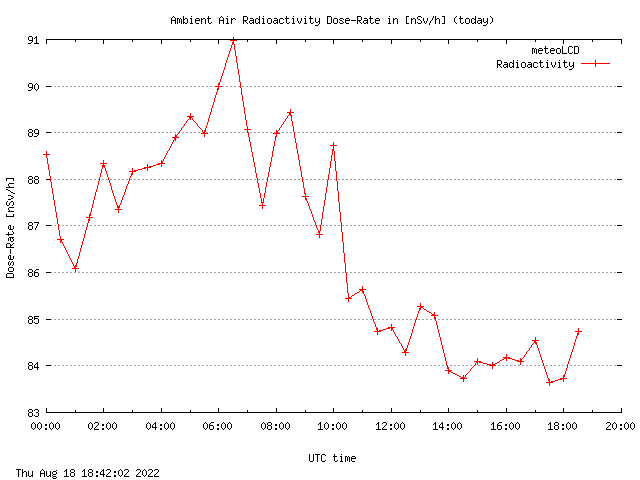 Ambient air radioactivity in Diekirch and Luxembourg Visitors who want to check ambient air radioactivity should look at the Live weather page or click here and here. Normal level (= dose-rate) is approx. 80 to 300 nSv/h, the higher readings in Diekirch happen when air temperature goes up. Remember that dose-rates in the nSv/h range are extremely small and that the dose-rate from the natural occurring K40 isotope in your body is about 50 nSv/h. Previous day readings from the official Luxbg. stations are here. More explanations here and here! Interview .. with Greenpeace co-founder Patrick Moore, now an outspoken critic of Greenpeace, a skeptic of AGW and (horribile est dictu!) a supporter of nuclear energy! Read also here. "We should stop running away from radiation"
... says nuclear and medical physicist Prof. Wade Allison from Oxford University Look also here. Read also here (from EER) what French Prof. Foos says about nuclear energy and reactor safety. A Primer on Natural Resources and the Environment Paper by Prof. G. Reisman at the Ludwig von Mises Institute: "...The notion that production and economic activity are harmful to the environment rests on the abandonment of man and his life as the source of value in the world." Climate models go cold Outstanding article by David Evans: "There are now several independent pieces of evidence showing that the earth responds to the warming due to extra carbon dioxide by dampening the warming"
Afraid of shale gas fracking? Look-up here all chemicals used at a specified US well! read also this comment from Energy Tribune. Presentation by Prof. Vincent Courtillot Extraordinary lucid and clear presentation by Prof. Vincent Courtillot (EIKE, 3. Internationale Energie- und Klimakonferenz, 3-4 Dec. 2010, Berlin): "In the last 20 years there has to been much too much on the numerical side and absolutely not enough on observation"
Can Nuclear energy be used in better and more secure ways as by BWR's and PWR's? (read also here and here ) and about the Pebble Bed Reactor (first developed and abandoned in Jülich). Europe's unconvential gas approx. 170 Tm3 (2009 LNG imports were 0.060 Tm3). Read also this WEF report "A New Era for Gas" and the CERA report on liquid fuels discovery and production. "Why Fukushima made me stop worrying and love nuclear power" ... writes famous green environmentalist George Monbiot from The Guardian. Also: "Generating solar power in the UK involves a spectacular waste of scarce resources". This man is British, not Deutsch! Small is better Read this article on the new planned small nuclear reactors. Das schmutzige Geheimnis der Wind- und Sonnenkraftnutzung Interesting article discussing efficiency of power generation. Look here for live information on Ireland's wind energy production. Total installed capacity is 1425 MW; Compute the capacity factor by dividing power delivered by 1425. Die Mär vom Prima-Klima-Sprit Is E10 dead-born? Read this great speech of ex-chancellor Helmut Schmidt at the Max Planck Gesellschaft. New paper says black carbon (soot) is responsible for more than 50% of the observed Arctic warming. Paper by Shindell et al. : "During 1976-2007, we estimate that aerosols contributed 1.09+/-0.81 °C to the observed Arctic surface temperature increase of 1.48+/-0.28 °C". Is CO2 not the bad guy anymore? Physical and Economic Consequences of Climate Change in Europe New PNAS paper: Link is to full paper, shorter comment here: "projected impact negligible"
Recovery mechanisms of Arctic summer sea ice Will there be an Arctic Ice tipping point? No says this new paper by Tietschet et al. (link to abstract).Maybe said a workshop on Climate Tipping Points from July 2010. Very critical long paper presented at the Klima2010 conference by Prof. Shafi, University of Dakar. Foresight report : The Future of Food and Farming How to feed 9 billion people in 2050? Wind turbines must be spaced farther apart. John Hopkins & KUL study: Distance between wind turbines must be increased for better efficiency. Five Myths and a Menace Masterly exposé by Lord Nigel Lawson.